Hello All, I hope you all happy with your Windows 10. Now, it time to protect your computer from attacks. Your have Windows Defender to serve as anti-virus. You don’t need to have another anti virus to install if you have Windows Defender. 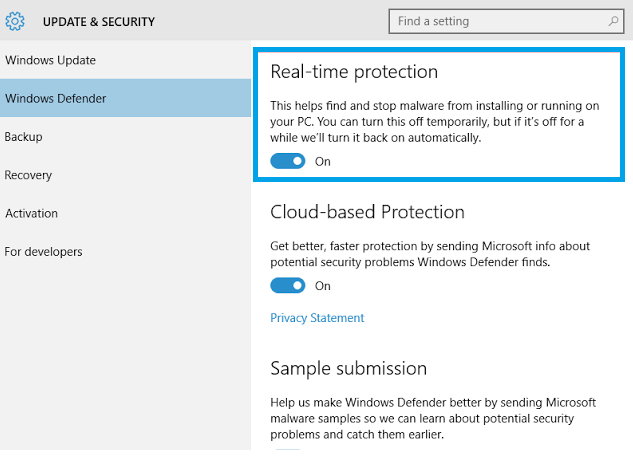 Search for Windows Defender and select Windows Defender from the results. 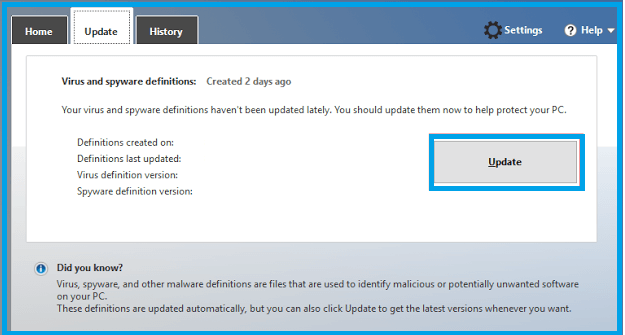 Windows 10 downloads updates for Windows Defender automatically to help keep your PC safe and protect it from attacks. To enable it go to Update tab –> Click Update. You will see the latest virus and spyware definitions will be downloaded from Microsoft.